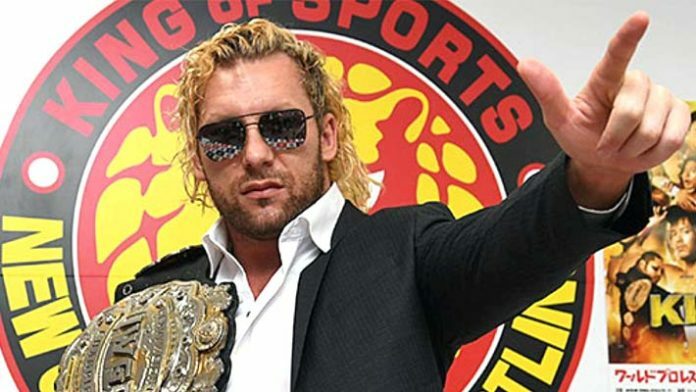 The current IWGP Heavyweight Champion, Kenny Omega, has fired a shot at Hiroshi Tanahashi. Omega referred to Tanahashi as an “egomaniac”, said he’s glad he won’t be at All In and referred to his fans as a cult. He made his comments in a reply to the newest English broadcast team member, Chris Charlton. Omega’s comments were made in response to Tanahashi saying Ibushi would never reach his true potential while aligned with Omega. As Omega is the IWGP Heavyweight Champion and Tanahashi the G1 Winner, the two could meet in the main event of WrestleKingdom. Omega will need to defend his title before then, however, and Tanahashi will have to defend his G1 briefcase as well. Tanahashi said he would only go on to face Omega in the Tokyo Dome if he successfully retains the G1 briefcase against Kazuchika Okada. Although Tanahashi won the B-Block in the G1 this year, he only wrestled Okada to a draw on the final night of the round-robin. The only wrestler to defeat Tanahashi in the G1 this year was Jay White. Tanahashi will likely defend the briefcase against him as well. As for Omega, he’ll have to defend his IWGP Heavyweight Championship against Tomohiro Ishii next. He could have to defend the title against either Kota Ibushi or Toru Yano before WrestleKingdom as well. His title match against Ishii has yet to be scheduled.